“In 2015 Lamborghini delivered an exceptional sales performance and new records in all key business figures*, confirming the strength of our brand, product and commercial strategy. With the introduction of several new models in 2015 and a solid order bank we are well prepared for the year 2016,” said Stephan Winkelmann, President and CEO of Automobili Lamborghini S.p.A. Thanks to the ten-cylinder Huracán LP 610-4 model, the year 2015 has been the most successful yet in Lamborghini’s history for V10 sales. In its first year of full availability 2,242 units of the Lamborghini Huracán were delivered to customers. Sales figures of the Huracán in the first 18 months after market introduction were up by 70% compared to its predecessor, the Gallardo, in the same period after market launch. 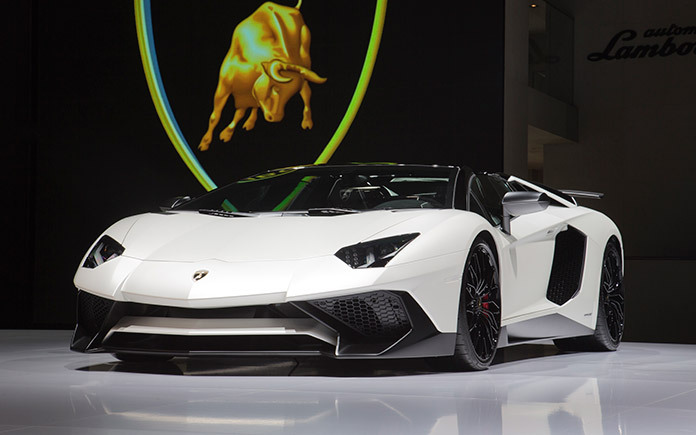 Deliveries to customers of the twelve-cylinder Aventador LP 700-4, in both coupé and roadster version, and the new Aventador LP 750-4 Superveloce, totaled 1,003 units. The success story of the Aventador is reflected also in sales figures for the first 52 months after market introduction, which were up by 124% compared to its predecessor, the Murciélago, in the same period after market launch. The year 2015 was characterized by the introduction of several new models. At the Geneva Motorshow in March the Aventador LP 750-4 Superveloce was presented in its coupé version, followed by the roadster’s debut in August at Monterey Car Week in the USA. The Superveloce is the purest essence of a Lamborghini super sports car, and all 600 SV coupés and 500 SV roadsters are sold out. Summer 2015 also saw the market introduction of a special series, the Aventador LP 700-4 Pirelli Edition, created to celebrate the long and ongoing history of collaboration with prestigious Italian tire manufacturer Pirelli. In autumn 2015 the new Huracán LP 610-4 Spyder and the new rear-wheel drive version Huracán LP 580-2 expanded the successful Lamborghini V10 family. Both versions are available in markets worldwide from spring 2016. In May 2015, production was confirmed of the new Lamborghini Super Sports Utility Vehicle in Sant’Agata Bolognese. From 2018 the Urus will be the third model in Lamborghini’s product range. Delivering additional growth and significant opportunities across the marque, it will also determine a substantial increase in the production capacity of the factory. Over the lifecycle of the new vehicle Lamborghini will invest hundreds of millions of Euros and hire 500 new employees.